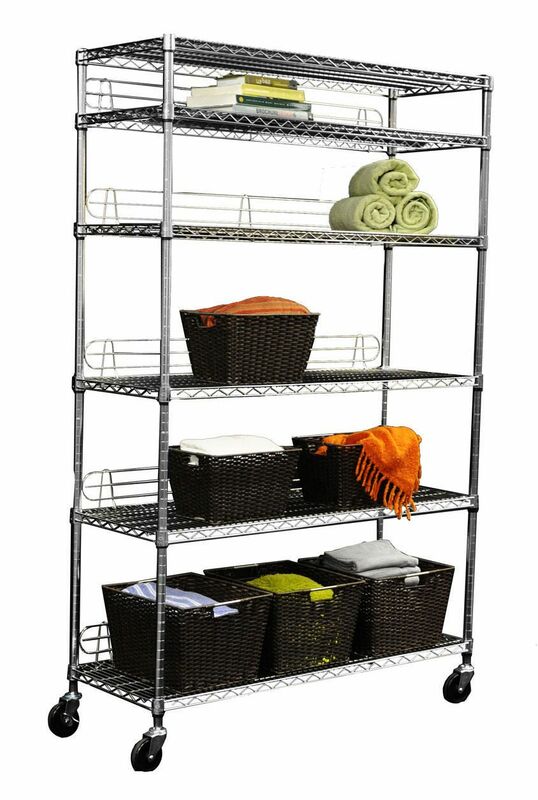 With 6 shelves this Trinity NSF certified rack has robust commecial-grade wire mesh shelves, perfect for any industrial or residential use in the home, garage or ktitchen. Assembly requires no tools, and uses a slip-sleeve locking system. 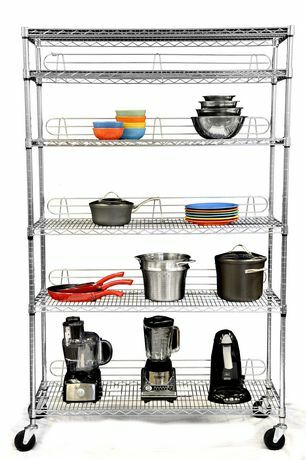 Shelves are adjustable at 2.54 cm (1 in.) increments, and allow for personal configuration. Backstands are included to ensure products do not fall off the shelves. 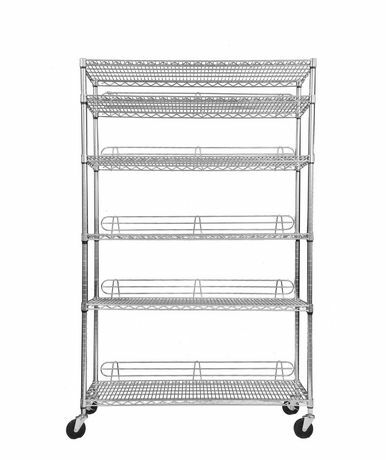 Entire shelving rack can be fixed with adjustable feet levelers or turned into a mobile unit with swivel casters. Through Trinity's line of EcoStorage™ products, we strive to achieve meaningful environmental impacts. We strive to reduce waste, energy, and toxic chemicals when creating our EcoStorage™ line of products through the use of science, innovation, and unique partnerships.